1. (2) 5 Rusty Patterson, Mason City, Iowa. 2. (7) 76 Jason Hahne, Webster City, Iowa. 3. (1) 15X Ryan Griffith, Webster City, Iowa. 4. (3) 05 Paul Nagle, Nevada, Iowa. 5. (8) 60 Ben Seemann, Waterloo, Iowa. 6. (5) 17 Kirby Schultz, Albia, Iowa. 7. (9) 91 Gabe Umbarger, Garner, Iowa. 8. (6) 66 Todd Johnson, Mitchellville, Iowa. 9. (4) 7 Jenna Johnson, Mitchellville, Iowa. 1. (6) 175 Ethan Dotson, Bakersfield, Calif.
2. (1) 75 Christopher Elliott, Webster City, Iowa. 3. (2) 64ZC Brandon Leeman, Roland, Iowa. 4. (8) 8X Scott Olson, Blairsburg, Iowa. 5. (5) 21 Ben Nading, Ankeny, Iowa. 6. (3) 49J Jason Murray, Hartford, Iowa. 7. (4) 37 Randy Foote, Stanton, Iowa. 8. (7) 29 Ben Willson, Colo, Iowa. 1. (2) 29 Ron Ver Beek, Oskaloosa, Iowa. 2. (5) 00J J.D. Auringer, Evansdale, Iowa. 3. (4) 14E Chase Ellingson, Iowa Falls, Iowa. 4. (7) 41 Nate Hughes, Humboldt, Iowa. 5. (6) 2 Jerid Ratzke, Webster City, Iowa. 6. (8) 12 Mark Elliott, Webster City, Iowa. 7. (3) 35 Billy Crimmins, Fort Dodge, Iowa. 8. (1) 45H Jason Hickingbottom, Ogden, Iowa. 1. (1) 7 Jason Minnehan, Churdan, Iowa. 2. (4) 47 Parker Slagle, Eagle Grove, Iowa. 3. (6) 19 Reid Keller, Webster City, Iowa. 4. (5) 1G Pat Graham, Ankeny, Iowa. 5. (7) 612 Mark Elliott, Webster City, Iowa. 6. (2) 20T Malcolm Teachout, Livermore, Iowa. 7. (3) 13G Craig Graham, Webster City, Iowa. 1. (2) 58 Matt Ring, Dows, Iowa. 2. (3) 14 Todd Staley, Webster City, Iowa. 3. (1) 11 Jesse Brown, Nashua, Iowa. 4. (5) 211 Jesse Ely, Webster City, Iowa. 5. (6) 52 Nathan Ely, Webster City, Iowa. 6. (4) 59L Vince Loewen, Hubbard, Iowa. 1. (2) 56 Ty Griffith, Webster City, Iowa. 2. (3) 80J Jared Van Deest, Holand, Iowa. 3. (7) 4 Jason Bass, Fort Dodge, Iowa. 4. (1) 5T Tyler Inman, Altoona, Iowa. 5. (5) 1 Doug McCollough, Webster City, Iowa. 6. (8) R31 Ryan Leeman, Roland, Iowa. 7. (4) T16 Taylor Elliott, Webster City, Iowa. 8. (6) 38S Paul Atchison, Webster City, Iowa. 9. (9) 14K Ryan Sams, Fort Dodge, Iowa. 1. (3) 85T Brandon Toftee, Otho, Iowa. 2. (7) 82 Jake McBirnie, Boone, Iowa. 3. (4) 32Z Alex Zwanziger, Nashua, Iowa. 4. (2) 62 Cory Pestotnik, Boone, Iowa. 5. (6) 10R Brandon Ratcliff, Kamrar, Iowa. 6. (5) 25 Justin Patterson, Fort Dodge, Iowa. 7. (1) 11 Paul Price, Iowa Falls, Iowa. 8. (8) 32S Blair Simmons, Des Moines, Iowa. 1. (3) 89 Dakota Feickert, Webster City, Iowa. 2. (4) 85 Seth Jansen, Ogden, Iowa. 3. (6) 42T Tyson Overton, Carlisle, Iowa. 4. (5) 46 Colton Arends, Luverne, Minn.
5. (1) 55G David Gilliland, Lehigh, Iowa. 6. (7) 49 Brayden Henely, Webster City, Iowa. 7. (2) 3T Tommy Beekman, Otho, Iowa. 1. 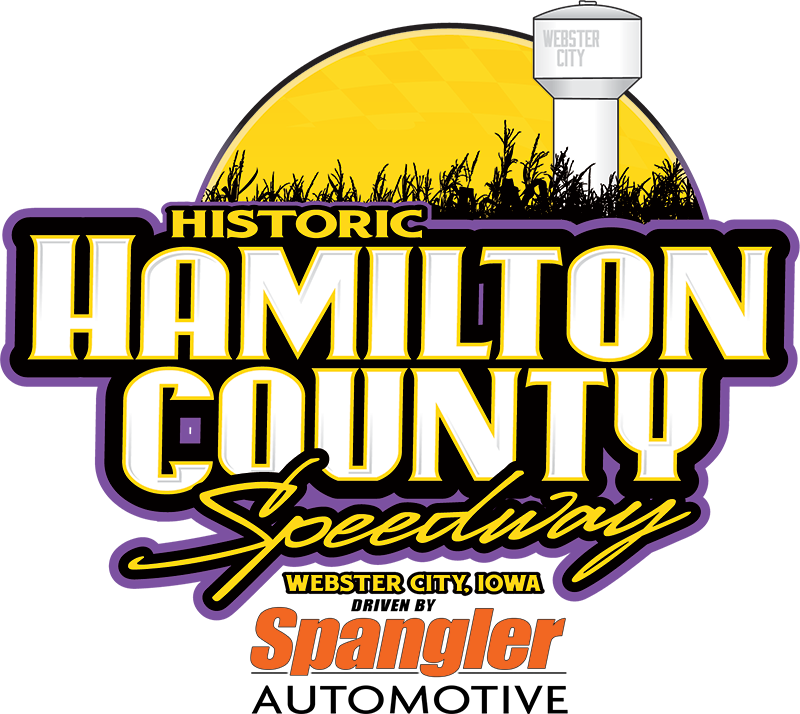 (4) 96R Jamie Songer, Ankeny, Iowa. 2. (3) 21 Myles Michehl, Fort Dodge, Iowa. 3. (1) 10 Danny Sassman, Fort Dodge, Iowa. 5. (5) 88N Nathan Parkhill, Webster City, Iowa. 6. (2) 11G Jayden Glenn, Stratford, Iowa. 1. (6) 21 Myles Michehl, Fort Dodge, Iowa, $600. 2. (1) 42T Tyson Overton, Carlisle, Iowa, $450. 3. (5) 4D Daniel Ayers, Webster City, Iowa, $350. 4. (8) 96R Jamie Songer, Ankeny, Ia, $300. 5. (4) 46 Colton Arends, Luverne, Minn., $250. 6. (2) 85 Seth Jansen, Ogden, Iowa, $200. 7. (7) 10 Danny Sassman, Fort Dodge, Iowa, $175. 8. (9) 55G David Gilliland, Lehigh, Iowa, $150. 9. (10) 88N Nathan Parkhill, Webster City, Iowa, $125. 10. (12) 11G Jayden Glenn, Stratford, Iowa, $100. 11. (3) 89 Dakota Feickert, Webster City, Iowa, $90. 12. (11) 49 Brayden Henely, Webster City, Iowa, $85. DNS – 3T Tommy Beekman, Otho, Iowa, $60. 2. (2) 13 Lucus Jones, Fort Dodge, Iowa. 3. (9) 37 Ryan Bryant, Mason City, Iowa. 4. (6) 13J Justin Nielson, Lu Verne, Iowa. 5. (7) 03 Matt Baker, Britt, Iowa. 6. (3) 11 Seth Scholl, Holman, Wis.
7. (8) 3 Tim Michaelsen, Webster City, Iowa. 8. (4) 54 Josh Dahlsten, Pomeroy, Iowa. 9. (5) NO7 Brad Mayland, Britt, Iowa. 1. (1) 37 Ryan Bryant, Mason City, Iowa, $250. 2. (3) 13 Lucus Jones, Fort Dodge, Iowa, $200. 3. (4) 13J Justin Nielson, Lu Verne, Iowa, $150. 4. (6) 11 Seth Scholl, Holman, Wis., $100. 5. (5) 03 Matt Baker, Britt, Iowa, $80. 6. (7) 3 Tim Michaelsen, Webster City, Iowa, $0. 7. (2) 41 Matt Oberhelman, Fort Dodge, Iowa, $70. 8. (8) 54 Josh Dahlsten, Pomeroy, Iowa, $65. DNS – NO7 Brad Mayland, Britt, Iowa, $25.